Red Lion Controls launches the enhanced line of CUB7 counters and timers, available in two input formats: low voltage (28 VDC max) and high voltage (50 to 250 VAC max). Three liquid crystal display options are available to enhance visibility: reflective, red backlight and green backlight. 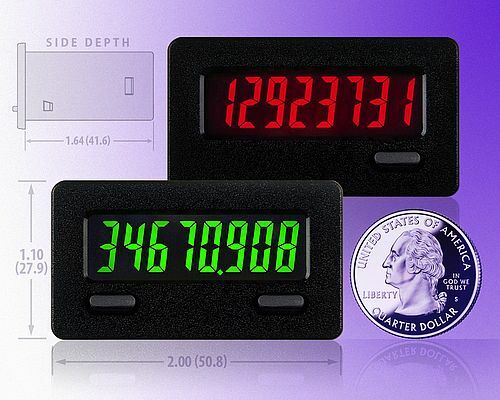 These counters and timers feature front panel keypads that can be used to reset the display. They are easily enabled or disabled via a single DIP switch. Standard CUB7 models provide 22-gauge wires for external connections. They are powered by an internal lithium battery, which delivers up to seven years of uninterrupted operation. Their compact housing measures 28 mm x 51 mm.